South Africa's Southern Cape is the only region in the world producing Rooibos Tea. Mulanje Tea went for a visit to see how it's done. Below is Bergendal Rooibos - on the Brakfontein Estate. 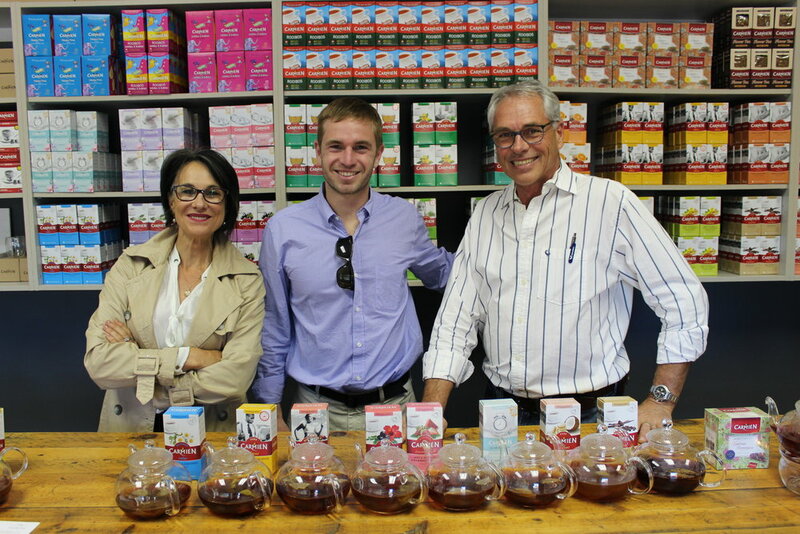 Carmein Tea and the Bergendal Rooibos operation are partners. Their operations are not only a large employer in the area, they've enabled 50% employee equity ownership of their businesses through the Bergendal Worker's Trust and Mouton Workers Trust. Bergendal Rooibos in Citrusdal, South Africa - ~2hr North from Cape Town. Finn with Minki and Danie at Carmein Tea's tasting room. Rooibos is harvested and laid out to ferment, then dry in open yards. After fermentation, which converts an otherwise green crop to a red/rusty color, rooibos is rigorously cleaned and graded in the Bergendal Rooibos facility adjacent to the yards. 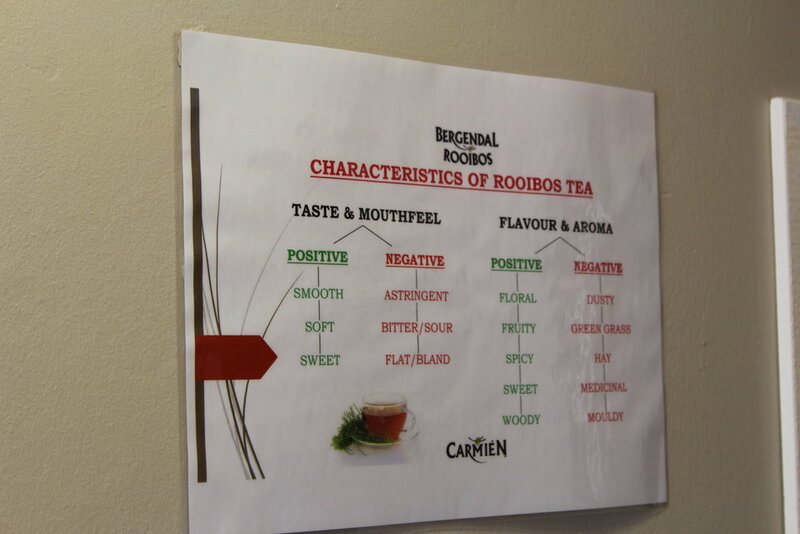 Here's the end goal in Rooibos... avoid the red categories.